Have us make your roofing look better than ever. Whether your roof is cedar or asphalt, the honest, hardworking experts at JJ’s Roofing take care of the installation. We provide roofers in Stony Plain and within a 100km radius west of Edmonton. Our owner is a second-generation roofer who has more than 35 years of experience in the roofing industry. Likewise, our entire team of roofers is highly trained, and since we never subcontract any of our work, you’re ensured the absolute best with us. Schedule a service appointment today! As part of a second-generation family-run roofing business since 1978, our owner has been immersed in roofing expertise for years. Our owner’s father started roofing in 1964, and our owner’s sons have become third-generation roofers since 2002. Put our pros to work for you. JJ's Roofing specializes in residential new construction, repairs, and re-roofing, so whether you’re building a new home or have lived there for years, we offer a service to suit your needs. We also install everything from eavestroughing to siding, ensuring you can get the same great JJ’s service on every aspect of your home’s exterior. Explore our services now. Got a leaky roof? Give us a call anytime—if we don’t answer the phone right away, leave us a message, and we’ll return your call promptly. 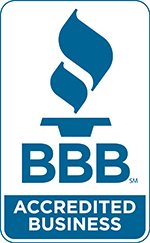 We are BBB-accredited with an A+ rating. See what products we use. Sunday: Leave message or text. Emergency service available. Call anytime or leave a voicemail message or text, and we’ll get back to you. We serve Edmonton, Stony Plain, and within 100 km west of Edmonton.